When you run nslookup [hostname], it’s your local DNS server that answers the query. This answer is non-authoritative. Using one of these local DNS servers, you can query again: nslookup [hostname] [local_name_server]. This answer is authoritative. 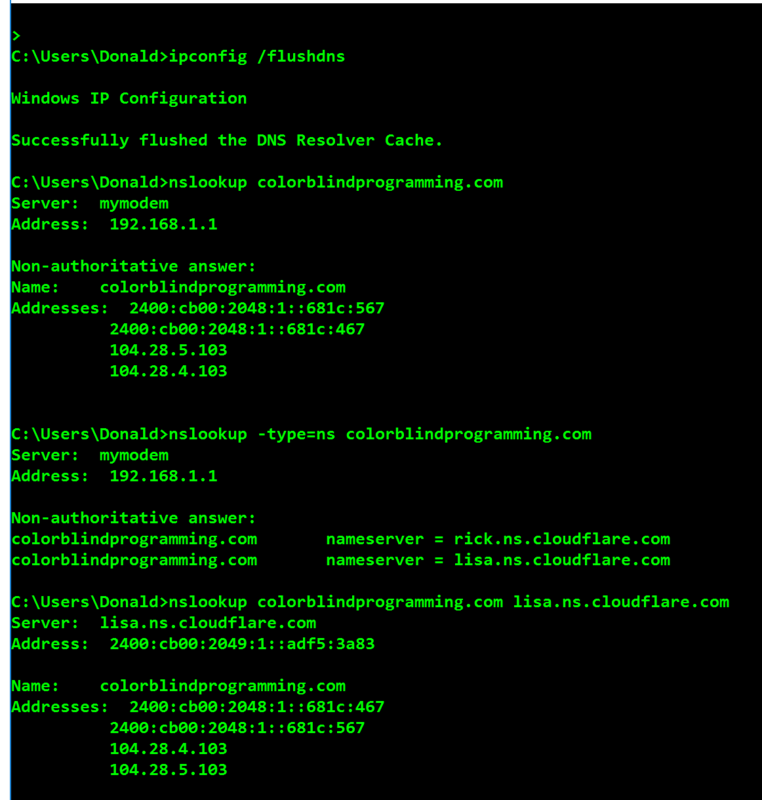 To clean the DNS cache, use ipconfig /flushdns.